The former superstar pairing of Patrick Reed and Jordan Spieth was posed a question about their split during the U.S. team's losing press conference Sunday. Spieth answered. Captain Furyk did, too. But Patrick Reed didn't get a chance to add his two cents until a phone call later that night with Karen Crouse of The New York Times. Reed spoke openly in the interview about his split with Spieth. "The issue’s obviously with Jordan not wanting to play with me," he told the Times. “I don’t have any issue with Jordan. When it comes right down to it, I don’t care if I like the person I’m paired with or if the person likes me as long as it works and it sets up the team for success." 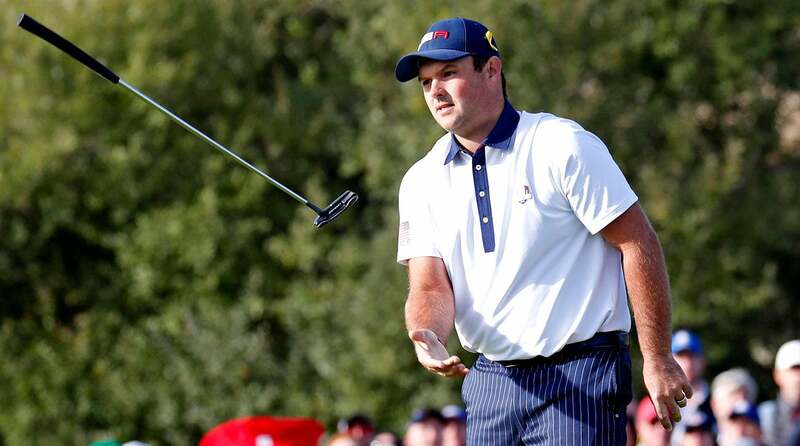 Patrick Reed said he was not involved in a decision about pairings. Crouse joined Shane Bacon on his podcast Monday to break down the weekend's events and discuss her interview with Reed. She mentioned how she had seen Reed and Spieth make eye contact when the question was asked, and that he appeared to be biting his tongue. "I could sense that Patrick had wanted to answer and hadn't gotten a chance to," she told Bacon. Reed confirmed those suspicions, telling her to give him a call later in the evening. "I think Jordan could see in my eyes that I was about to light up the room like Phil did in ’14, and that’s why he jumped on the answer," he told Crouse. Spieth had said everyone was involved in every decision that was made — "Jim allowed it to be a player-friendly environment," he said — so Crouse specifically asked Reed if he'd been a part of the pairings decision. "I asked him, 'Patrick, did you have any say in that?' And he said, 'No,'" she told Bacon. Crouse said she hadn't been able to ask Spieth about the dynamic and their interactions during the week. The duo had gone 4-1-2 in the last two Ryder Cups, but Spieth played all four matches with Justin Thomas, while Reed went 0-2 as Tiger Woods's partner. "His second choice was Tiger, and again Patrick was not Tiger’s first choice, and so this was sort of a makeshift lineup," Crouse said. You can hear the entire podcast here.